Selena Gomez looked beautiful as ever in the Louis Vuitton dress she wore to the Met Gala on May 2, but it was the off-duty look the 23-year-old donned after the fundraising ball that got our attention. Her black midi shirt and low-slung boyfriend jeans perfectly displayed a bit of new artwork on her left hip that just happens to be a perfect match for DJ Pon-3, aka Vinyl Scratch, a character from My Little Pony. In the cartoon, DJ Pon-3, a female unicorn pony disc jockey, rocks a blue streaked mane, purple and black sunglasses, and a music note on her back. 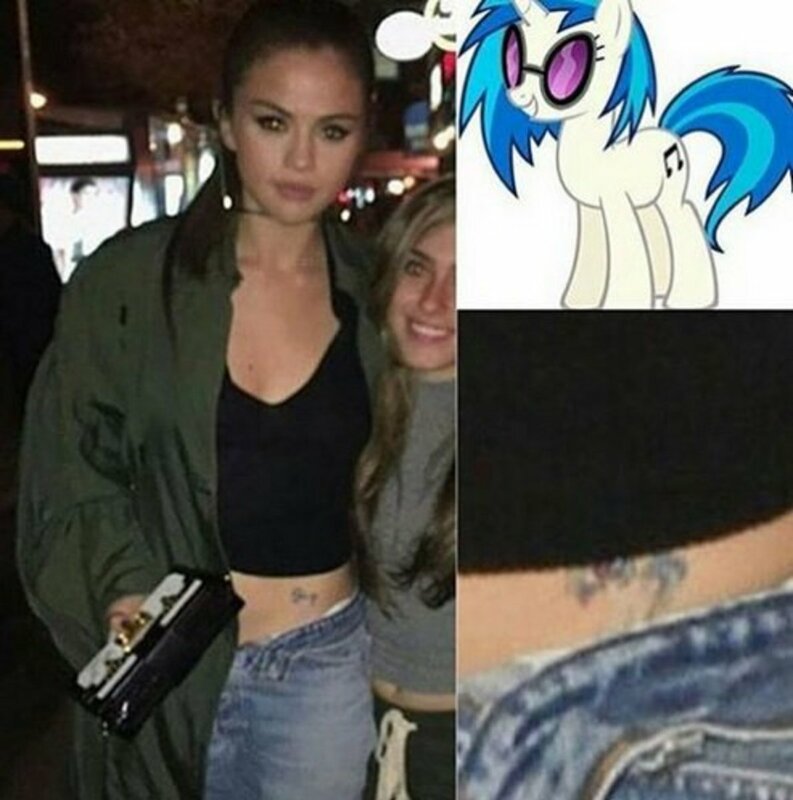 This possible new tattoo for Selena Gomez was first spotted as the singer was posing with fans in New York City after the gala, and, while some have speculated that the ink is a fake, Selena hasn’t confirmed whether the My Little Pony tattoo is permanent or temporary. 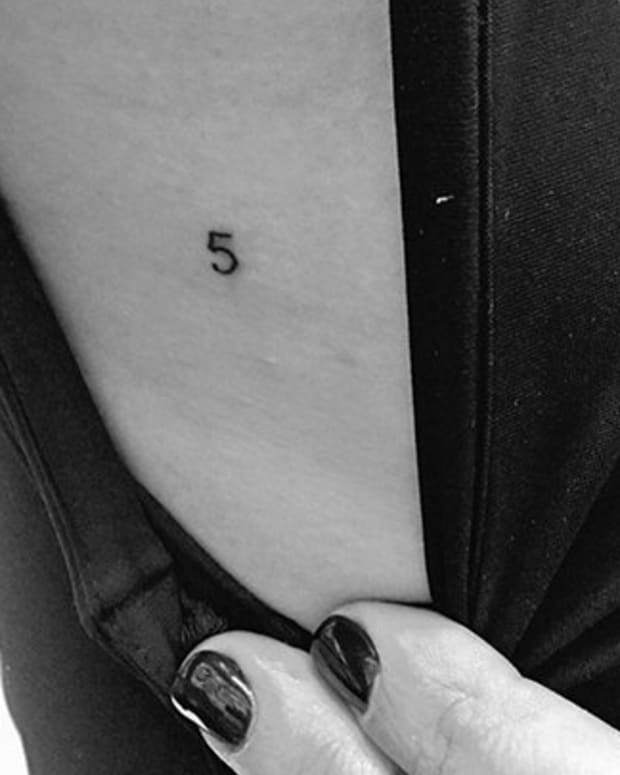 Let’s just take a moment to consider what it would mean if Selena Gomez’s tattoo is the real deal: either she’s secretly obsessed with the TV show, which has been revamped in the past few years and has drawn a cult following of teenagers and “Bronies,” or male fans, or she lost a bet to someone with a great sense of humor. Okay, so Selena Gomez (and every other girl in the world) may have loved the My Little Pony cartoon as a child, but enough to get a permanent tribute to the show inked on her body? We agree that it’s entirely possible that the DJ Pon-3 piece is just a cute and colorful temporary tattoo, but Selena has admitted in the past that she is addicted to getting inked, and, even before this My Little Pony piece, she already had a total of seven tattoos, including a music note on her wrist, her mother’s birth year on the back of her neck, and the word “sunshine” on her foot for her grandmother. 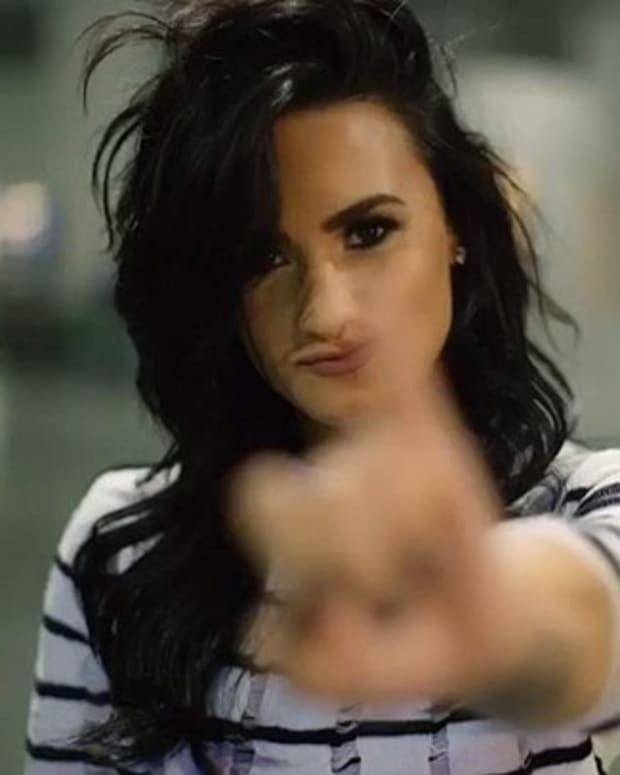 Would it be such a leap for her to get a cute My Little Ponytattoo on her hip? Selena Gomez&apos;s line of temporary tattoos. Just last month, Selena Gomez revealed on Instagram that she would be turning her ink into temporary tattoos, and that sheets of the transfer tats would be available at the merchandise table for her Revival world tour. If this ink on her hip is, in fact, the real deal, you may be able to score your own Selena Gomez My Little Pony tattoo, of the temporary variety. Anyway, we’re also guessing that it’s only a matter of time before die-hard Selena fans end up under the needle getting their own permanent DJ Pon-3 My Little Pony tattoos.